Vercelli is an Italian city in the northern region of Piedmont. With a population of only 47,000, it is one of Italy’s smaller cities and of the oldest urban sites in Northern Italy. Extending along the river Sesia from Monte Rosa to the River Po, like most towns in Italy, it is home to a football club - Pro Vercelli. If you are not studied in the history of Italian football, then you may not have come across the Leoni however they were one of Calcio’s first giants. You could say Italy’s first Juventus. Pro Vercelli have won seven Scudetti, all between the years of 1908 to 1922. To put this into context, that is four more than AS Roma (3) and 5 more than SS Lazio (2) and Napoli (2). The story began in 1892, when a club was formed by a local P.E teacher called Domenico Luppi. This new venture went by the name of Società Ginnastica Pro Vercelli (Pro Vercelli Gymnastics Society), initially specialising in gymnastics and fencing. Eleven years later, in local fencer and high school student Marcello Bertinetti – himself a future double Olympic Gold medallist – returned to Vercelli after watching Juventus and formedU.S Pro Vercelli Calcio. The newly born club then embarked on an incredible journey. The team played their first official match on the 3rd August 1903 againstForza e Constanza but it wasn’t until the following year that they truly forged an identity. Originally, Pro Vercelli’s colours were black and white stripes, like Juventus. However the players soon grew weary of having to repaint the stripes on their shirts after they repeatedly faded in the wash, and thus, the simple solution was to play in all-white tops and black shorts. A month later, in a friendly game, Vercelli’s famous ‘Midfield Line of Wonders’ made its debut: Pietro Leone, Giuseppe Milano, and future team captain Guido Ara. They had arrived at the Leoni at the same time as Bertinetti and when asked by the club executives why they wanted to form a football team, Ara responded, “To become champions of Italy.” At the time this statement was mocked by the powers that be but nobody could have envisaged the golden era which lay ahead. Ara was considered by many as the first superstar of Italian football. Renowned for his dribbling and exquisite passing, he earned the nickname ‘L’elegante Guido (Guido the Elegant). He also spearheaded Vercelli’s physical approach and once claimed “Calcio is not for little girls”, a comment reflecting the archaic times. However Pro Vercelli were ahead of their time in terms of training and their sessions were unique. They were the first Italian team to set up modern coaching and conditioning regimes. The team was made up of young, middle class players and they were able to train more intensely and frequently than the older players at other clubs. Set pieces were practiced daily and a style of play based on possession was encouraged rather than long ball tactics. Their superior fitness and physicality made them close to indomitable and this earned them the nickname, the Leoni (Lions). 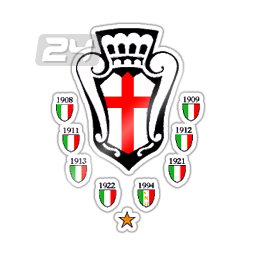 The club rose through the Italian ‘subdivisions’, reaching the national league in 1907. Despite reaching the top division, Vercelli were still an amateur club and no players were paid. Playing for the joy of the game, they won the National title at their first attempt. Between 1908 and 1913 they won five titles until Inter spoiled that run with their first Scudetto in 1909-10. It was one of the great injustices in Italian footballing history. The Italian Football Federation (Federazione Italiana Giuoco Calcio; F.I.G.C.) decided to change the rules to allow a play-off after the two teams had finished on equal points. Even though Vercelli had scored more goals, the FIGC were keen to organise this pioneering championship play-off. A date was chosen in which several Vercelli players were committed to playing in the Queens Cup, a military tournament in Rome. Vercelli protested but their protestations fell on deaf ears. The match went ahead and Vercelli fielded their fourth team – a team of children and young teenagers, the eldest being 15-years-old. Incredibly the youngsters managed to score three goals however Inter ran out winners, 10-3. Following this, Vercelli were initially banned from football but this ruling was overturned after Ara and his brother cycled around the major clubs in Italy gathering signatures for a petition against the FIGC’s decision. This perceived injustice only served to motivate the Leoni and it didn’t take them long to regain their title. They remained undefeated for the next three seasons, capturing three titles in a row between the years of 1910 and 1913. 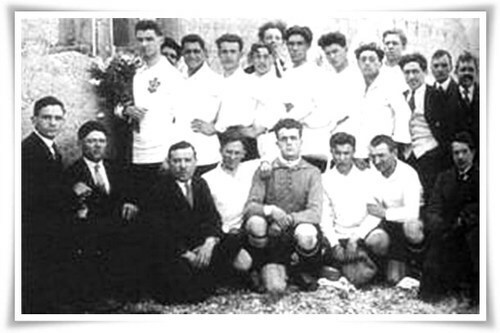 After such a fruitful beginning, Pro Vercelli had to wait until 1920–21 to win another championship. In 1921–22, after a row over the structure of the Italian league competition, the FIGC split, with all the major teams forming the independent Italian Football Confederation (C.C.I.). Pro Vercelli joined the CCI league and it was within this league that the Piedmont club won their seventh and last title. As the game became more professional, Vercelli’s decline began. The small Piedmont town could not compete with their richer adversaries from the big cities. Ara left in 1926 to manage Como before briefly returning between 1932 and 1934. But he would soon be gone for good after he went to manage Fiorentina, Roma, AC Milan and Genoa. The Bianche Casacche (White Shirts) survived in the top flight until the 1934-35 season when they were eventually relegated to Serie B.
No-one could have predicted the decline would be terminal. Relegations followed and the club continued to struggle, dropping as low as Serie Dduring a period in which the glory days became an increasingly distant memory. In 2006, Pro Vercelli had a crosstown rival in the form of a new team, A.S. Pro Belvedere Vercelli (who played in yellow and green). This team was born due to a merger between A.S. Trino Calcio (who played in Serie D) and amateur league team P.G.S. Pro Belvedere. Pro Vercelli began to struggle financially and due to large debts, in 2010-11 they were unable to enter the Lega Pro Seconda Divisione. After over 100 years, Italy’s first giants disappeared. Following the collapse of U.S. 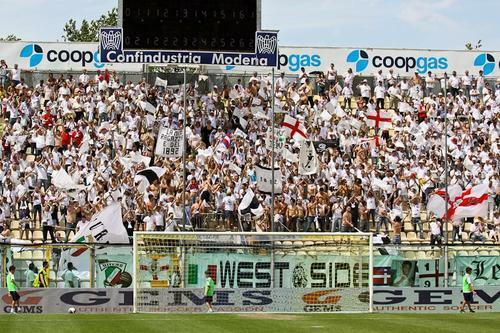 Pro Vercelli Calcio a new club has come to the fore. Football Club Pro Vercelli 1892 officially started in 2010 and with their birth, the traditions and honours of the great Pro Vercelli have been saved.